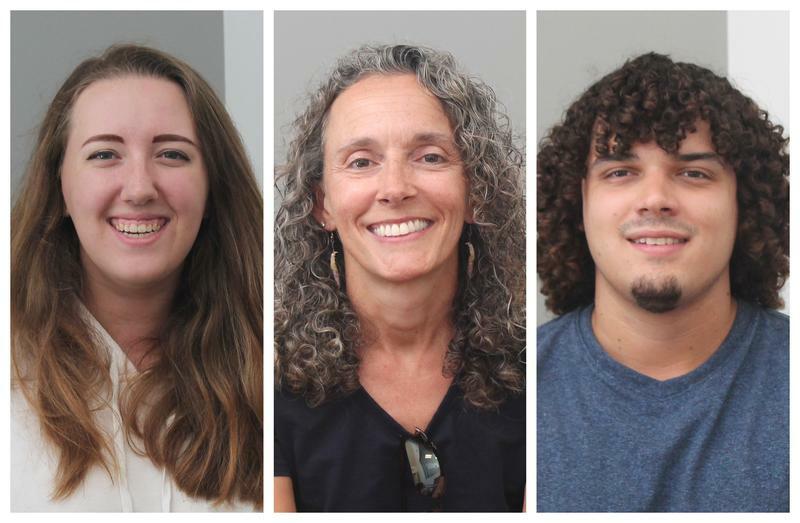 From left, Kelly Sopek, Julie Zimmermann and Payne Gray spoke with host Don Marsh about their recent anthropological work at Southern Illinois University Edwardsville. Long before Lewis and Clark passed through the Gateway to the West, this region was home to indigenous Americans including the Cahokians. While this civilization was primarily located about 15 minutes east of St. Louis at today’s Cahokia Mounds State Historic Site, settlements were scattered across the region including the area that is now Edwardsville. Two years ago, anthropology students at Southern Illinois University Edwardsville discovered a 1,000-year-old Mississippian-era house on their campus. This year it was excavated. Host Don Marsh also spoke with two of Zimmermann’s students who participated in the archeological dig, Kelly Sopek and Payne Gray. “It really just looks like four lines in a rectangle on the ground … but it is really exciting because it’s really hard evidence [of] what was actually there,” Sopek said about the findings that indicated a dwelling. In addition to the house, one of the most significant artifacts this summer has been a spear point. This article first appeared in the St. Louis Beacon: June 6, 2008 - While Indiana Jones strikes gold at the box office, amateur archaeologists at Cahokia Mounds state historic site are digging for a different type of treasure. 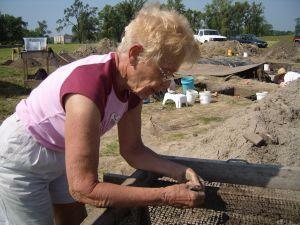 Beginning May 19, volunteers with the Cahokia Mounds Museum Society picked up their trowels and got down in the dirt, digging for clues to unravel more of the mystery surrounding the ancient mound-building society that settled the area near present-day Collinsville more than 1,300 years ago. 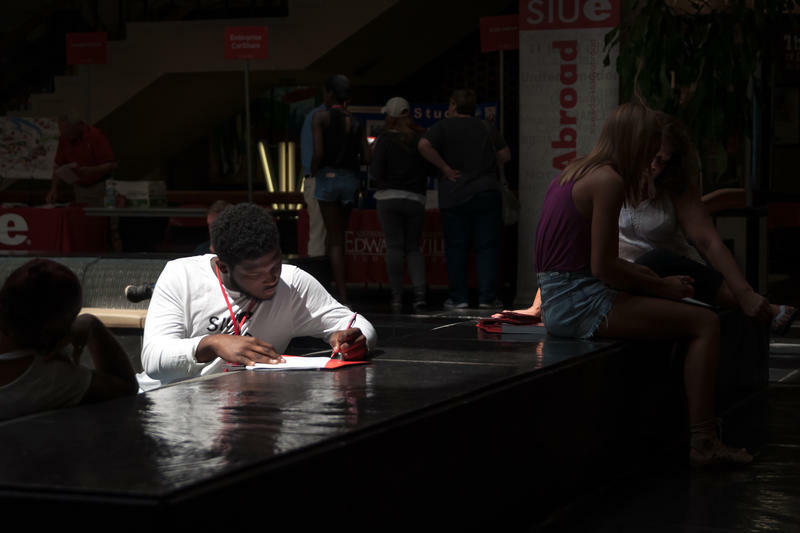 Southern Illinois University-Edwardsville has morphed over the last decade from a commuter college into a regional university that attracts out-of-state students. The secret to growing while other public universities and colleges across the state shrink: broadening recruitment efforts and constructing more dorms.